Sometimes you just have to sew something cute and sweet. I love linen and patterned fabric together. 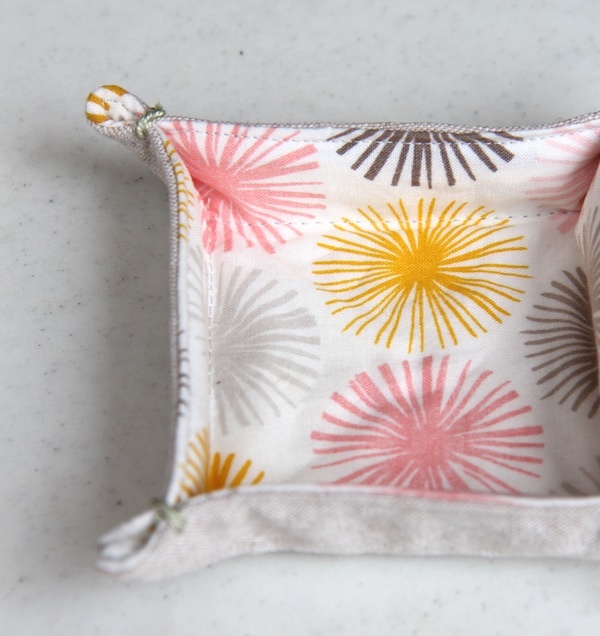 So when I decided to make these little trays, I knew linen would have to be involved. 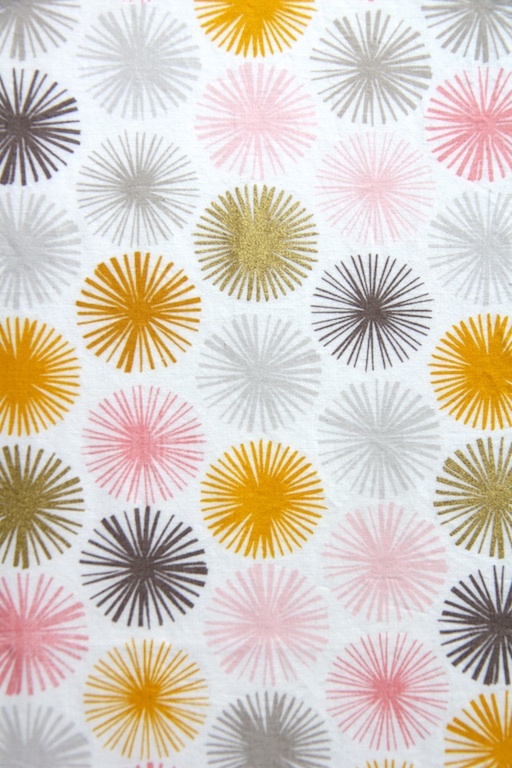 Have you sewn with this fabric? It is so soft and luxurious. That whole collection is definitely going to be showing up in a quilt one day that I’m going to make. And it may have to involve a bit of linen, also. 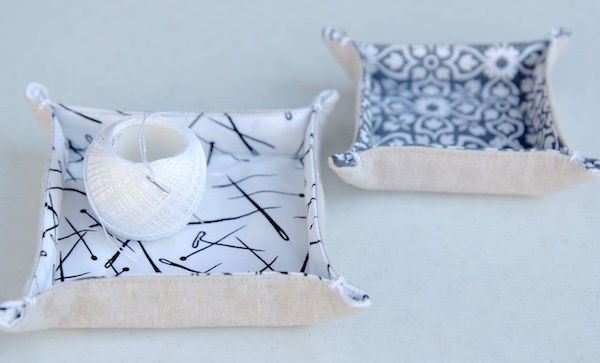 These little trays are a snap to make. I used A Spoonful of Sugar’s great little tutorial for making these. You can whip one up in about 15 minutes. 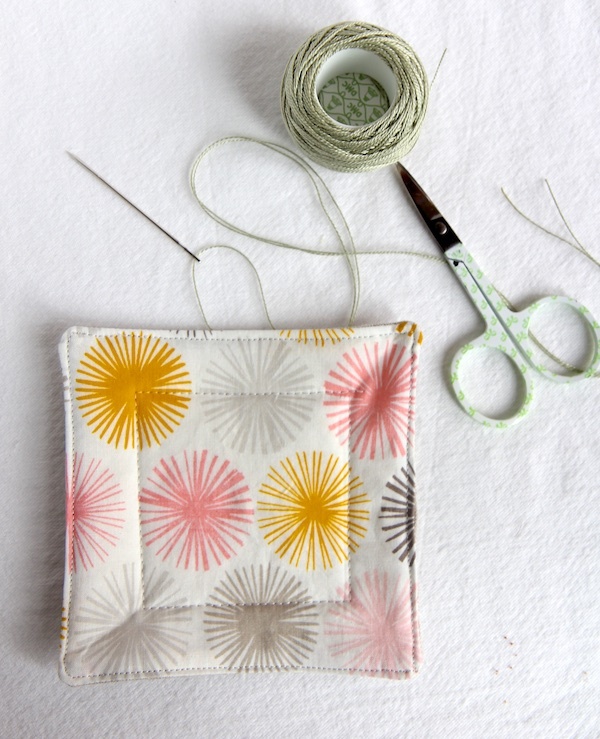 She uses charm fabrics, which are 5″ square. I did one in that size and did the next one at 6″ square. I couldn’t resist cutting into this Cloud 9 Aubade fabric for one of the trays. 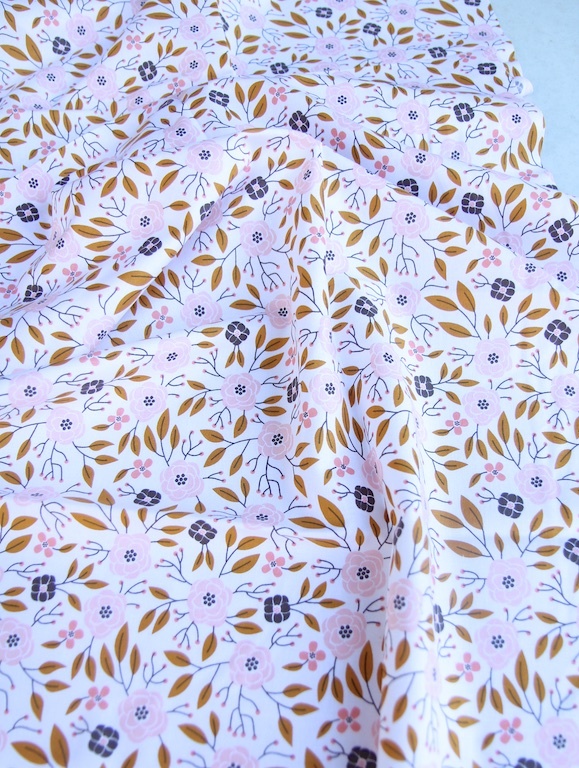 The linen I used was Robert Kaufman Essex Wide in Flax, a great linen blend that’s easy to cut and sew. You can use any fabric for the outer lining, though. The corners are just sewn up with embroidery floss or pearl cotton (which I used). I’m using one to hold my beloved Wonder Clips. They would obviously be great for jewelry, too. What great little gifts they would make. 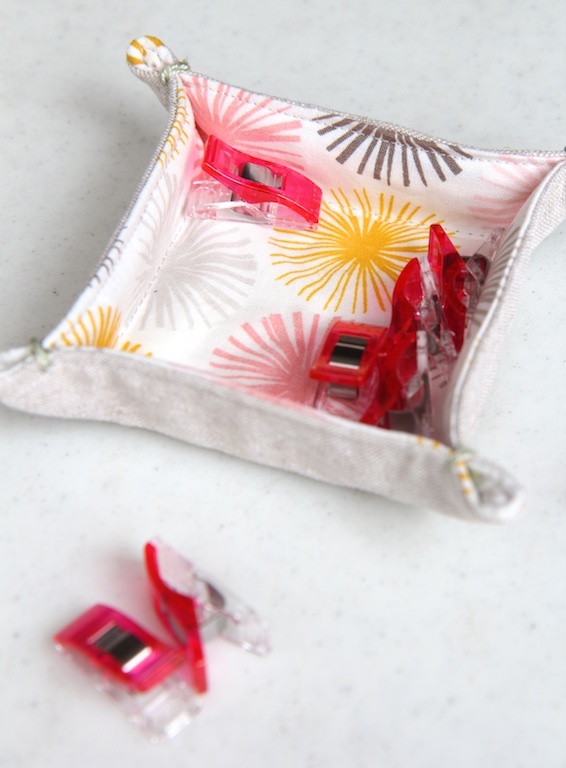 This entry was posted in fabric, home accessories, linen on November 3, 2015 by Beech Tree Lane Handmade. I love these! I made a similar one years ago, but I may be inspired by yours to make more!! Such pretty trays! Love your linen and fabric combinations. These are so fun to make. They were one of the first classes I ever taught. Your photos are great! These are so awesome. I’ve been wanting to use linen with some nice soft brushed cotton. I think this is the perfect project for that pairing. Thanks for the idea. I have used these for travelling. They are very packable and lightweight, and hold miscellaneous items such as reading glasses, jewelry, hair clips, keys, kleenex etc. on a bedside table.